← What Happens To Those Going off Welfare Benefits? 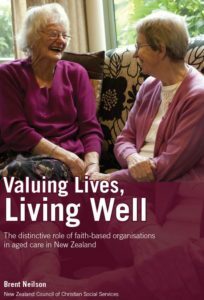 NZCCSS is delighted to release the Valuing Lives, Living Well research report. This report is all about sharing what it means to ‘live well’. It is about the less tangible dimensions of life like companionship, meaningful participation and the opportunity to grow as a person even in the face of physical challenges. It is about how faith-based social services help create social value on our communities. It is indeed about ‘going the extra mile’. It is a huge social achievement of our generation that people are living longer than human beings have ever lived before. Accompanying the gift of longer life we face challenges of growing inequality in income and wealth (especially housing) and huge pressures on health and social services that are perceived by some as too costly and inefficient. Oscar Wilde’s famous quote warns us about those cynics who know the ‘price of everything and the value of nothing’. It is this concern for authentic value that has inspired two recent NZCCSS projects aimed at exploring the added-value of community based social services. The report of the second project, Valuing Lives, Living Well, has focused on those working with older people in community-based care and support and in aged residential care, following on from the impactful Outcomes Plus report from 2015 that looked at wider social services. 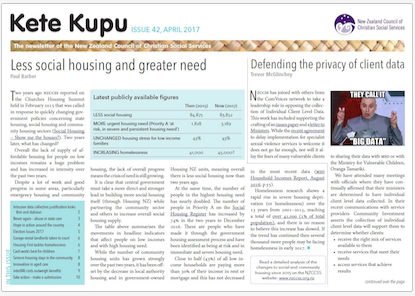 The research involved doing some ‘systematic listening’ through interviews and focus groups with more than a hundred people from ten organisations around New Zealand, representing a good cross-section of the NZCCSS social services. Clients, residents and their families as well as staff and managers from services all took part. The Valuing Lives research looked at some interrelated questions. What are the attributes of an organisation that builds social value? And what is it about faith-based aged care providers that makes them distinctive? How do these attributes promote wellbeing? Much of what we learnt applies to any organisation that wants to do well and keep its focus on ‘mission’, yet the work has captured some of the distinctive mix that is typically present in those faith-based agencies. The research found that the organisations looked at go above and beyond the minimum mandated requirements. Their unique combination of factors forms “organisational specific capital,” (i.e. the ways they value lives) that contributes directly to social value. It is that social value which in turn results in increased quality of life for the older people using their services. This organisational specific capital is also made up of the way the unique characteristics and infrastructures of the community and voluntary sector combine to build the social value of the sector. They are meeting not only contractual requirements set by government but a range of individual, family, whānau and community needs at the same time. This community-connectedness emerges as a central finding of the project. 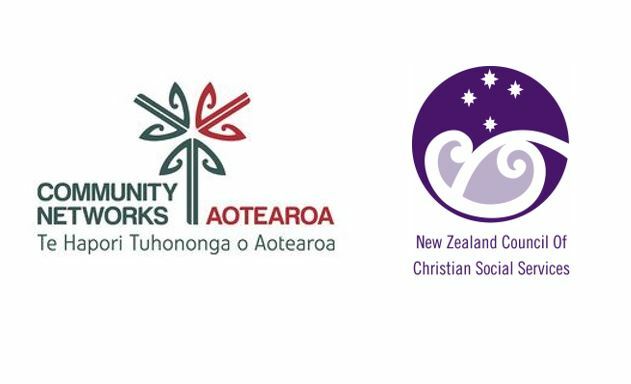 Faith-based agencies extend pastoral care beyond the staff member-service user relationship and incorporate family and whānau into events and activities across the continuum of care. This helps to maintain social connections in the community and continuity in residential care settings. Those connections are in turn aided by the natural networks that community-based organisations have to a wide range of other community groups, including child care, music, craft and young parent groups,. This research is a celebration of the difference that organisations make in people’s lives, the things that make them distinctive and the special way those distinctive characteristics work together to promote better lives. The appeal behind this work is for those involved in all aspects of our sector – the policy, funding, management and governance – to recognise this ‘bigger picture’, the wider social value that is present in the web of our communities. This social value must not be dismissed or given lower priority in the debate about the future shape of an aged care “market.” The value of older people, those who work with them and their communities really counts and goes well beyond dollars and cents. Special thanks go to researcher Brent Neilson, expert advisor Dr Judith Davey and to all the wonderful people who shared their stories and experiences for this research.